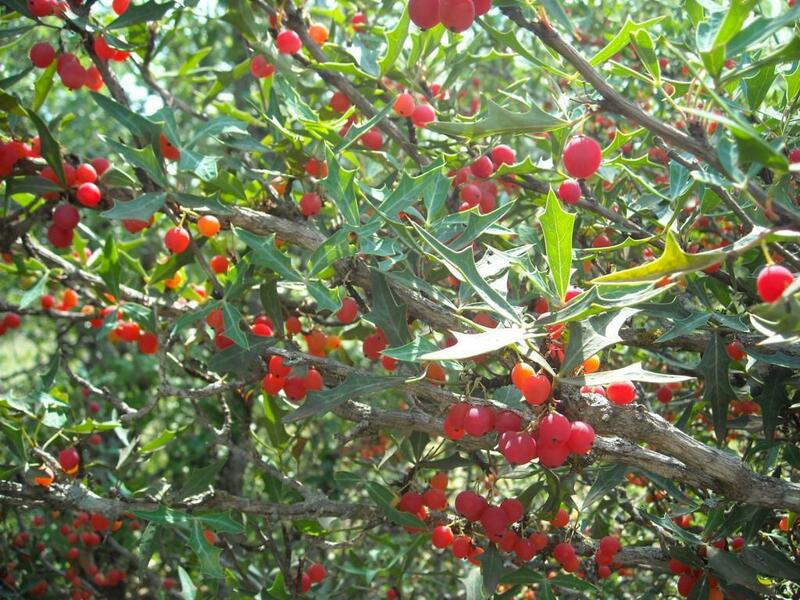 Color: Yellow flowers, Red fruit . Interest: Spring Flowers, Year around evergreen foliage. Landscape Companions: Texas sage, Century Plant, Red Yucca, Cherry Sage. Extra: WARNING, THORNY FOLIAGE. Deer Resistant. 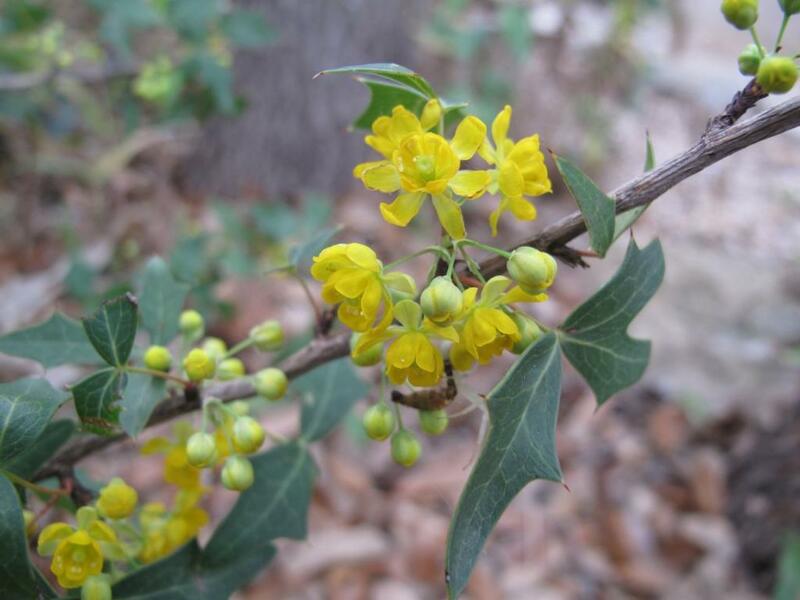 Features: A very hardy and deer resistant Texas native shrub. Xeriscape plant. 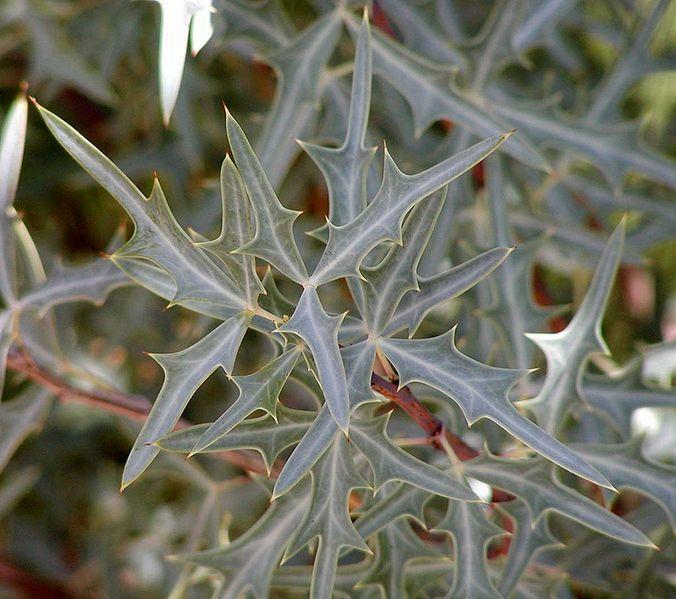 Austin Native Landscaping: “Agarita is a tough sell; It’s thorny and scraggly. 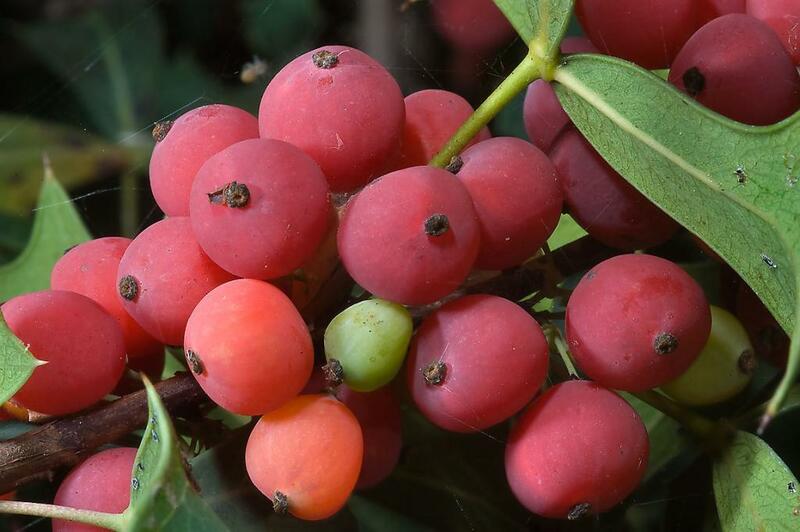 But its many positive characteristics are well worth considering: It’s an evergreen, will thrive both in full sun and part shade, has profuse yellow flowers in early spring following by edible red berries, very deer resistant, and of course extremely drought tolerant. 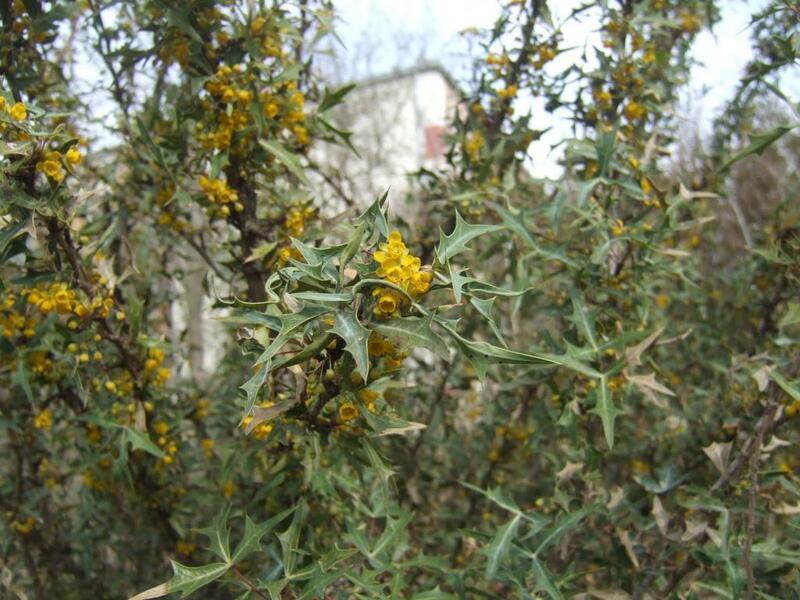 It is quite prickly so do make sure to design this Texas native shrub away from pedestrian ways and any place where folks can stumble upon it. 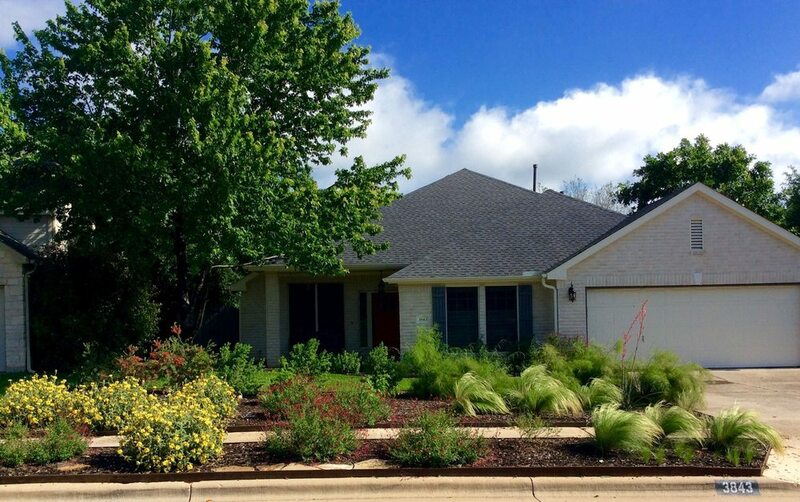 Highly recommended in any heavy deer pressure, Xeriscape landscape designs. Propagation: Seeds, Softwood cuttings, Hardwood cuttings. 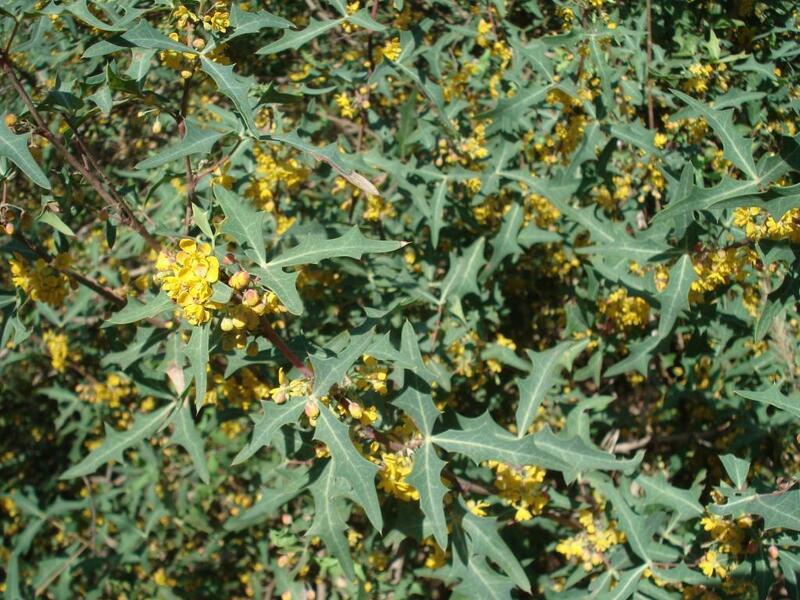 I would love to buy an agarita bush – where would I find one?